The man charged with killing another homeless person in early May returned to a West Main Street apartment covered in blood and ordered people to get rid of his clothes just an hour and a half after leaving with the victim. That from witness testimony last Wednesday. 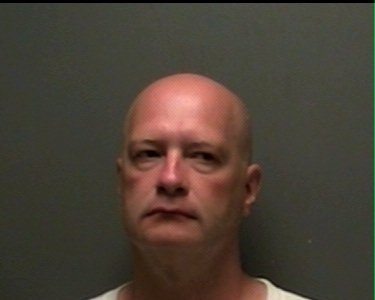 Charles Warner, a homeless man who stayed in Nashville and Murfreesboro, is accused of murdering 52-year-old Emad Kakhim Al Azraki, whose body was found with his throat slashed partially submerged in Lytle Creek off West Main Street. Police believe he was killed between May 3 and May 12. General Sessions Judge Barry Tidwell found probable cause during the hearing to bound first-degree murder charges against Warner over to the grand jury. Robert Strange, another homeless man who is serving time in Rutherford County Adult Detention Center for violation of parole, testified he was hanging out drinking beer at a friend's West Main Street Apartment on a Sunday night in early May when Warner, Al Azraki, who was already drunk, and another man said they were leaving to go to the Imperial Inn across Broad Street. It was about 8 p.m.
About an hour to an hour and a half later, Warner returned. "He was covered in blood," Strange testified. "He had blood all over his face, arms and legs."